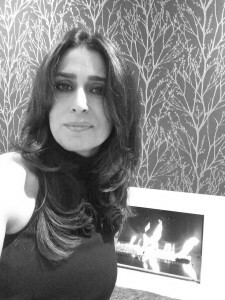 Moji Salehi is a Sussex based interior designer, artist and business coach. Her interior design portfolio includes projects such as freelance styling commissions for Hamsey Manor, country houses and editorial styling work. With a background in textile printing and upholstery, Moji created her first home furnishings and accessories line in 2008. In 2013 her body of work was expanded to a jewellery line followed by a decorative lighting collection in 2018. In addition she also runs a number of design and business start-ups courses throughout the year, tutoring creative individuals and designers assisting them in all elements of their business from initial business plan to preparing to present collections at trade shows. For 2019 Moji will continue to work on her jewellery and lighting brand and present these to the International press and buyers alongside her design courses and ever growing Interior design commissions.